Physician, MLA (1908-1910), MLA (1911-1914). Born in North Renfrew County, Ontario on 28 September 1861, he studied medicine at Kingston. In November 1881, he moved to Nelson to practice and, in 1885, transferred his practice to Morden. In addition to his medical work, he owned the Morden Woolen Mills and a large farm. At one time, he owned a large stone home in Morden. 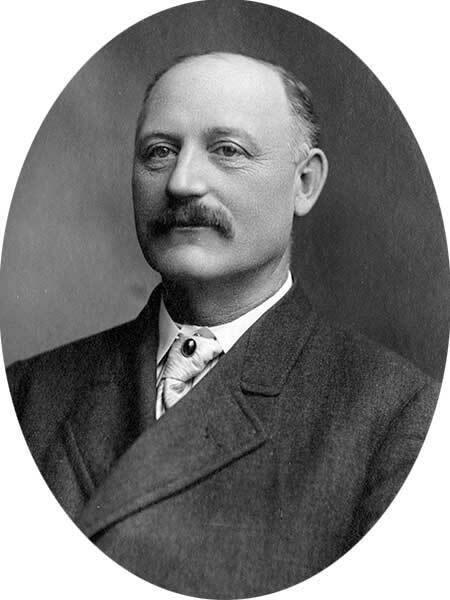 In the 1907 general election, he was elected to the Manitoba Legislature for the Morden constituency, and was re-elected in 1910. He moved to Winnipeg in 1913 and, two years later, he was appointed provincial coroner and federal administrator for the Narcotics Act. On 19 November 1884, he married Cassie Pollock Fraser (1862-? ), of New Glasgow, Nova Scotia, daughter of James H. Fraser. They had a son, Fraser McConnell (b 1896). He was a member of the AF & AM (Belmont Lodge No. 9), a life governor of the Free Mason’s Hospital of Morden, President of the Manitoba College of Physicians and Surgeons, and President of the Southern Manitoba Medical Association. He died at his Winnipeg home, 165 Mayfair Avenue, on 15 February 1923. “Prominent doctor and public official dead,” Manitoba Free Press, 16 February 1923, page 2.